Great news! We're very excited to announce that a new personalized book has just been added to Put Me In Story today. 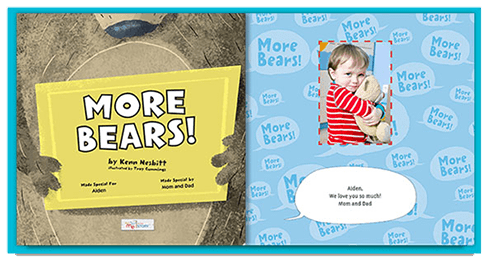 Award winning author, and 2013 children's poet laureate, Kenn Nesbitt's popular book More Bears! is now available for personalization for the special child in your life. Warning: More Bears! is not a bedtime story. This story was written to be read (and yelled!) out loud. 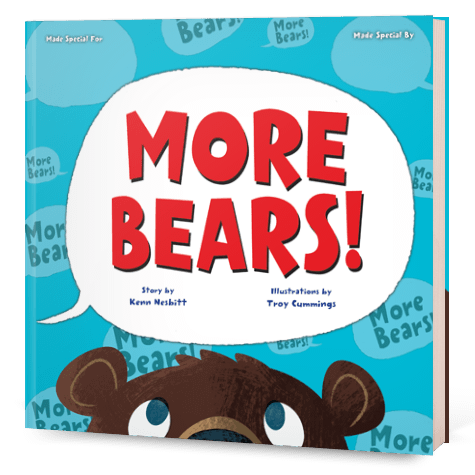 This delightfully silly, personalized story will have your child calling out "More Bears!" within the first few pages. This interactive book will also have your child eager for reading as well as for "More Bears!" When you personalize More Bears! your child's photo will appear throughout the ENTIRE story!